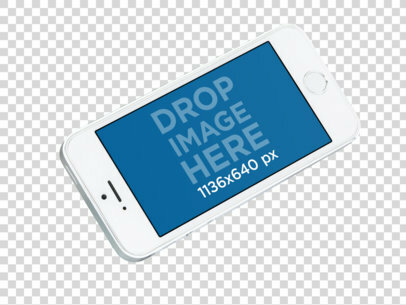 Create your own iPhone mockup in just seconds thanks to Placeit’s mockup generator. 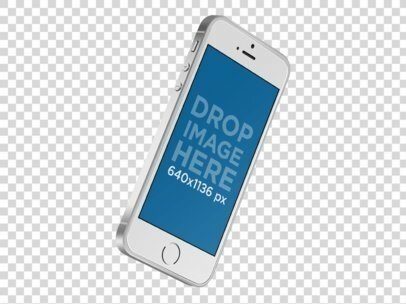 All you need to do is drop your image over this template and you can customize this iPhone SE floating in angled position over a transparent background in no time! Make your advertising attractive and promote your iOS app in a new way. To see another iPhone Mockup click here! Check out this awesome mockup of a white iPhone SE being held by a man near a car reflection mockup. It's an awesome template of an iPhone SE for you to showcase your latest app, start increasing your income now, use it! You can drag n' drop your app screenshot image file on the interface, we will merge it with the device in just seconds! Also, you can promote your new website by selecting Screenshot from URL and entering your website's URL. Try another iPhone Mockup here! 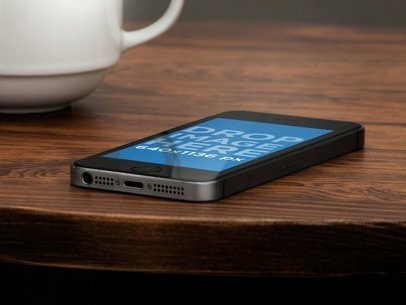 Get your realistic iPhone mockup in just seconds and promote your app like never before! All you need to do is place an image of your iOS app and our mockup tool will start adjusting everything for you. Download this iPhone SE mockup in hand and see your app come to life right before your eyes, make Placeit your new favorite app marketing tool and boost your brand today! To see another iPhone Mockup click here! Give your new health app the best visual asset to promote itself! 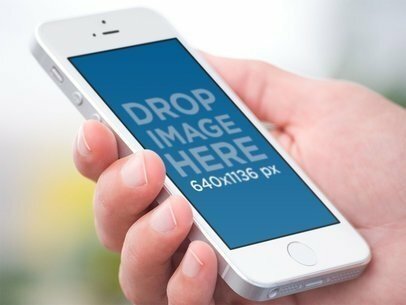 You can use this cool digital mockup featuring a black iPhone SE being put away by a doctor in his pocket. 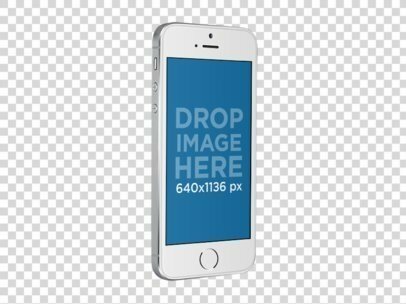 Simply drag and drop your image over the template now and our mockup generator will adjust the content for you, it's that easy. Save more time and money from your app marketing strategy and use mockups today! 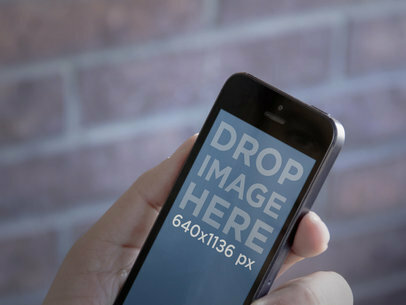 Customize this great iPhone mockup with one of your app designs! Try this medical mockup now featuring a doctor putting his iPhone SE in his pocket, it's the perfect visual asset for your new health app don't you think? You can try out more of our digital mockups by simply dragging and dropping your image of choice over the template chosen, our mockup generator will have your download ready in no time. Display your new app work on this amazing iPhone mockup featuring an iPhone SE in front view landscape position over a PNG background. Get your instant mockup by only dragging and dropping your image over the mockup template, our mockup tool will take care of the rest. Use digital mockups to promote your app's features in a realistic way! To see another iPhone Mockup click here! Promoting your app has never been easier thanks to Placeit's digital mockups! 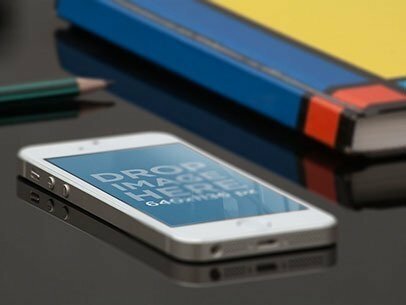 Use this iPhone SE mockup over a wooden table to feature your app in an everyday scenario, all you need to do is place your image over the mockup template and our mockup tool will adjust the content automatically to fit this photo mockup perfectly! Try it out now and see for yourself. Give your app a great visual update by suing photorealistic digital mockups! Use this one of an iPhone SE lying over a wood coffee table ready to display your app's best features, simply add your image over the placeholder and we'll take care of the rest, easy right? You can create more digital mockups in no time thanks to this easy to use app marketing tool! Start promoting your iOS app with cool mockups like this one! 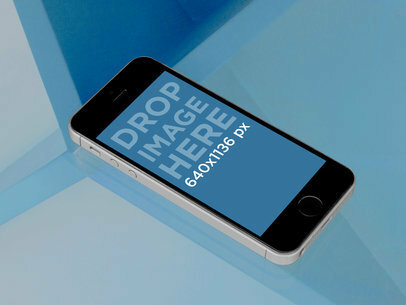 It only takes a few seconds, go ahead and drop your image over the template and you’ll have an iPhone SE mockup at a school desk ready to download with your design in no time. Make an impression with photorealistic mockups thanks to Placeit’s mockup generator. 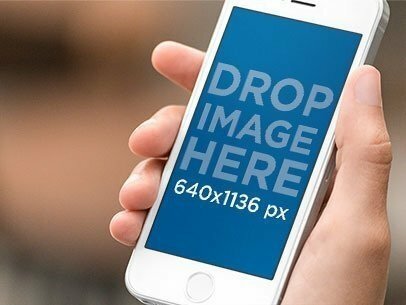 Get your iOS app on this incredible iPhone SE photo mockup right away by simply adding your image over the mockup template, your download will be ready in a few seconds thanks to our easy to use mockup tool. Create more digital mockups for all your app work and promote your best features in a realistic experience. Start showcasing your app work with iPhone mockups and notice the difference! Save more on your budget and deliver the best app experience with customizable digital mockups, take this one of an iPhone SE lying on a breakfast table and place your own app onto the screen by adding your content over the template. 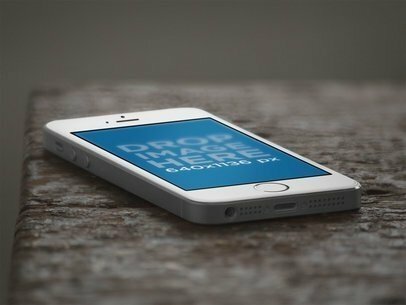 See more iPhone SE mockups and start promoting your new app! To see another iPhone Mockup click here! 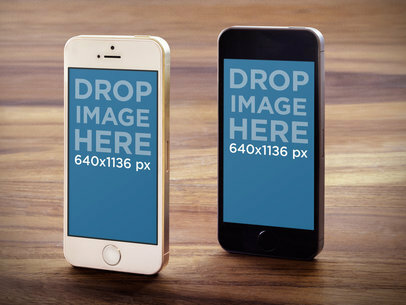 Win your next app pitch with photorealistic iPhone mockups to display your new iOS app! You can create your own digital mockups thanks to Placeit's easy to use mockup generator in just a few seconds, super easy! 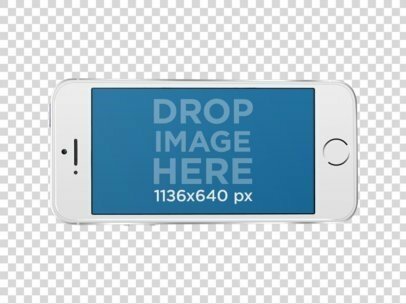 Simply drag and drop your image over the mockup template and you'll have a very realistic visual asset to showcase your app's best features. To see another iPhone Mockup click here! 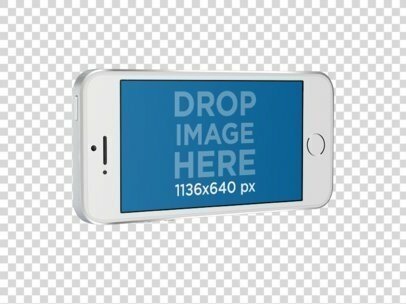 Take this iPhone SE mockup floating in angled position and update your app marketing strategy by displaying your app in a more realistic way! Simply take your image over to the mockup template and drop it in, our mockup generator will create your final download instantly, easy right? Stop wasting time on stock images when your can save money and time by customizing these incredible digital mockups! To see another iPhone Mockup click here! 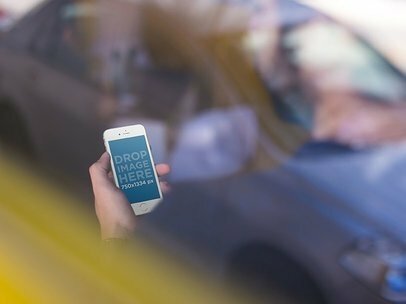 Use this iPhone mockup to give your app presentation a bigger punch! This digital mockup features a new iPhone SE in landscape position over a transparent background, very convenient for different scenarios! 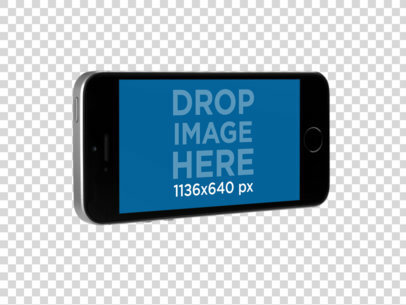 You just have to place your image over the template and our mockup tool will have your own app mockup ready in no time! To see another iPhone SE Mockup click here! Get your app on this incredible iPhone SE mockup in angled landscape position over a transparent background and amaze your clients! 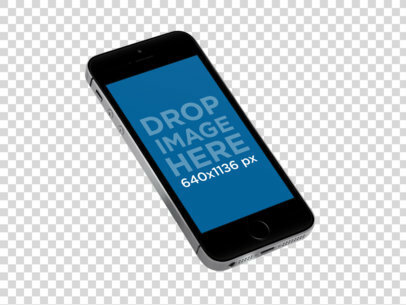 Simply drag and drop your image over the placeholder and your mockup template will be ready to download instantly. Update your app marketing strategy with realistic iPhone mockups made possible by Placeit. To see another iPhone SE Mockup click here! Check out this new iPhone mockup featuring a black iPhone SE in angled portrait position over a transparent background, cool right? You can feature your app on this mockup by simply dragging and dropping your image over the template, your download will be ready in just a few seconds thanks to our mockup generator! To see another iPhone Mockup click here! Your app will look better than ever in this amazing iPhone SE mockup featuring the new iPhone SE floating in an angled landscape position over a transparent background. Pretty cool shot right? Simply add your image over the mockup template and you’ll have a download ready in no time! Create your own app marketing with the help of digital mockups. To see another iPhone Mockup click here! Promoting your app will never be the same when you start using these awesome photorealistic mockups to display your latest work! 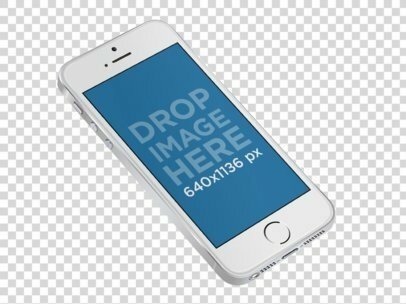 Simply drag and drop your image over this iPhone SE mockup to see how great it will look, our mockup generator can create your own iPhone mockup in just seconds, cool right? Take this black iPhone SE mockup template and start showcasing your work in the best way! To see another iPhone Mockup click here! Use iPhone mockups to display your app work in a more realistic and up close way. 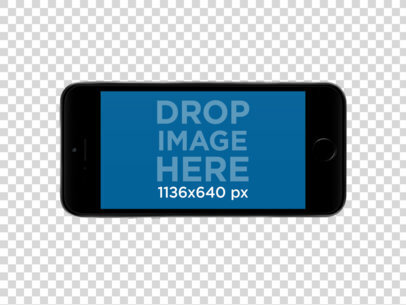 Simply drag and drop your image over this template of an iPhone SE in a vertical front view over a transparent background, your work will look captivating. You can create more digital mockups with our easy to use mockup tool in no time! To see another iPhone Mockup click here! A new iPhone SE mockup is here and just in time to showcase your latest iOS app with a new design! Get your app on this cool iPhone mockup featuring a white iPhone SE recently launched by Apple. Start promoting your app on this iOS device to create the impact you want and captivate your clients with photorealistic digital mockups powered by Placeit. What are you waiting for? Try this SE mockup now! To see another iPhone Mockup click here! Promote your latest app work with iOS device mockups! This app mockup will help you out incredibly by displaying your iOS app in a new iPhone SE mockup over a transparent background in portrait and angled position. 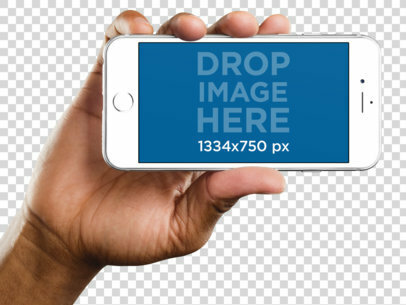 Simply drag and drop your image now and your mockup will be customized in no time, give the best app pitch with iPhone mockups! To see another iPhone Mockup click here! Are you ready to pitch your latest iOS app but still can't find the right mockup? 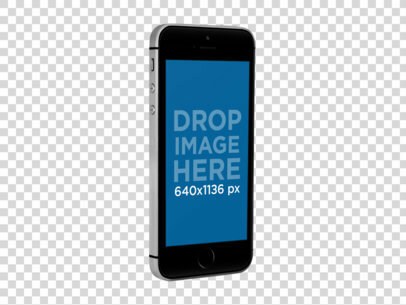 No worries, we have just the mockups you need, see this photo template of a hand holding and iPhone 6 in frontal vision? It's perfect for a demonstration scenario where your design will look incredible. Try it out for yourself, simply drag a drop your image over the placeholder to see your final asset. Choose from hundreds of mockup templates exclusively curated by Placeit. To see another iPhone Mockup click here! 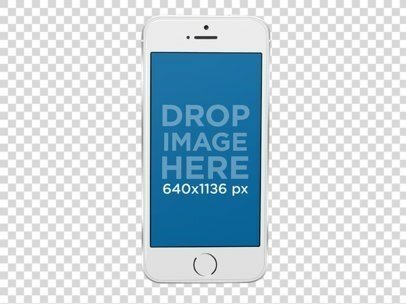 This is a beautiful iPhone 6 mockup template that will definitely provide a boost to your visual content campaign as you will be able to showcase your brand new iOS app within the white iPhone 6 set up in a portrait position. All you need to do is drop a screenshot of your new app straight into the iPhone 6 and Placeit will deliver a compelling image to enhance your app marketing campaign. Try this iPhone 6 mockup template of a white iPhone against a white and blue backdrop right away! Two iPhone 5s phones stand side by side on a wooden table. The first iPhone 5s is white with a gold frame. The seconds iPhone 5s is black with a dark frame. Both hold an image of 640x1136px in portrait mode. The phones are at a slight angle from the viewer. This is great for a side by side shot of your mockup. Here is a close-up view of a black iPhone 5. 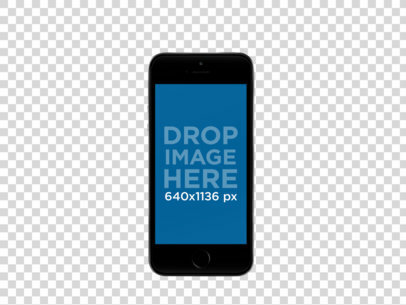 Your product screenshot will look fantastic in this portrait 640 x 1136 px mockup. The iPhone is being held up in the left hand at a left angle. The background is a brownish-red brick wall. The bricks are layered with grey grouting. A slick, modern glass table. On top of it, an iPhone 5S mockup. Use this image if you wanna portray a very exciting, new app. You can drop an image in portrait mode or you can grab a screen shot from the URL.